San Diego Comic-Con is just around the corner, and in addition to top-notch cosplay, celebrities, and sneak peeks at upcoming blockbusters, attendees will also be treated to countless lines and crowded venues. To ensure you’ve always got a comfy place to sit and wait, Brando’s got just the backpack for you. 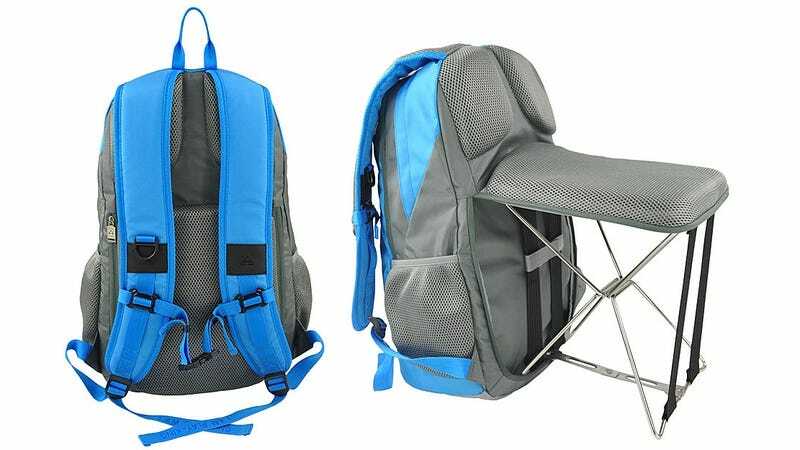 It really doesn’t break any new ground when it comes to design, capacity, or comfort, but the reason you might want to drop $75 on this backpack is revealed when the breathable padding that rests against your back pops up—with metal support legs underneath—to create a sturdy stool. The added feature doesn’t add much weight to the pack either, and while not as comfy as a chair, it’s a better alternative to having to plunk down on dirty convention center carpeting.